A few years ago we started a new tradition of going to the mountains for new years. We weren't able to book the hotel for New Years Eve so we headed up New Years day. Got the train to the slopes and went straight out on the snow. Unfortunately, we didn't have the best weather. It reminded me a lot of skiing in Avimore, Scotland - nearly zero visibility in places! At least it didn't have the Scottish ice patches. Anyway, at least it wasn't too busy at Yuzawa Nakazato which is where we were for day one and day 3. 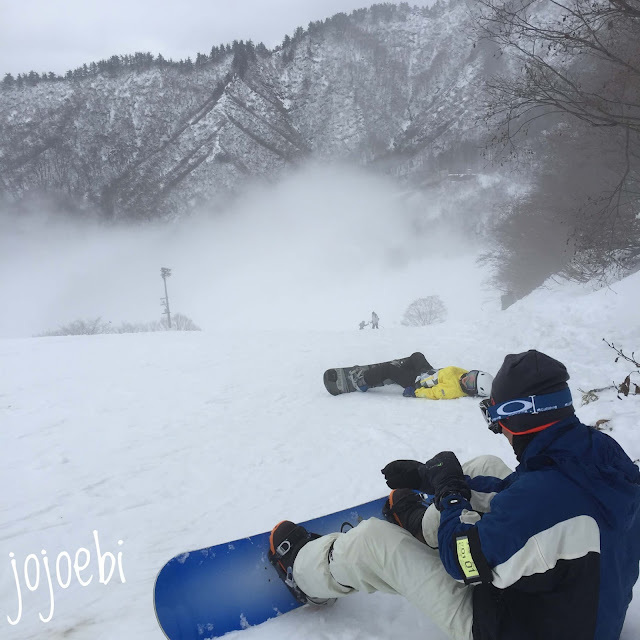 I have given up trying to video Ebi-kun on the slopes, he goes to fast and I can't safely ski after him, keep up and film at the same time, I think we need to invest in a Go-Pro camera! 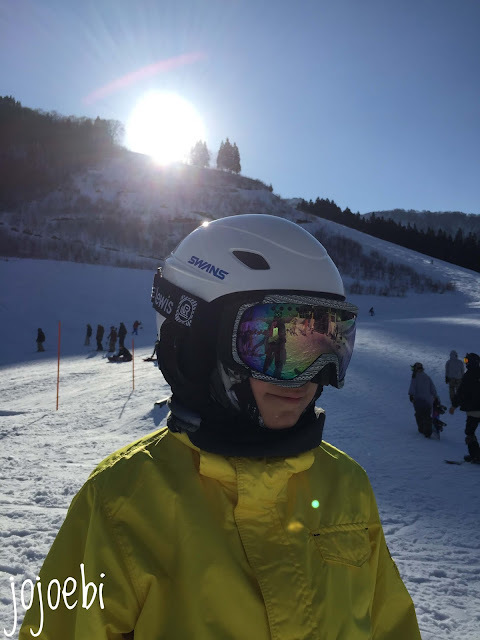 Day 2 the weather forecast for Nakazato wasn't good so we thought we would try out a different place. 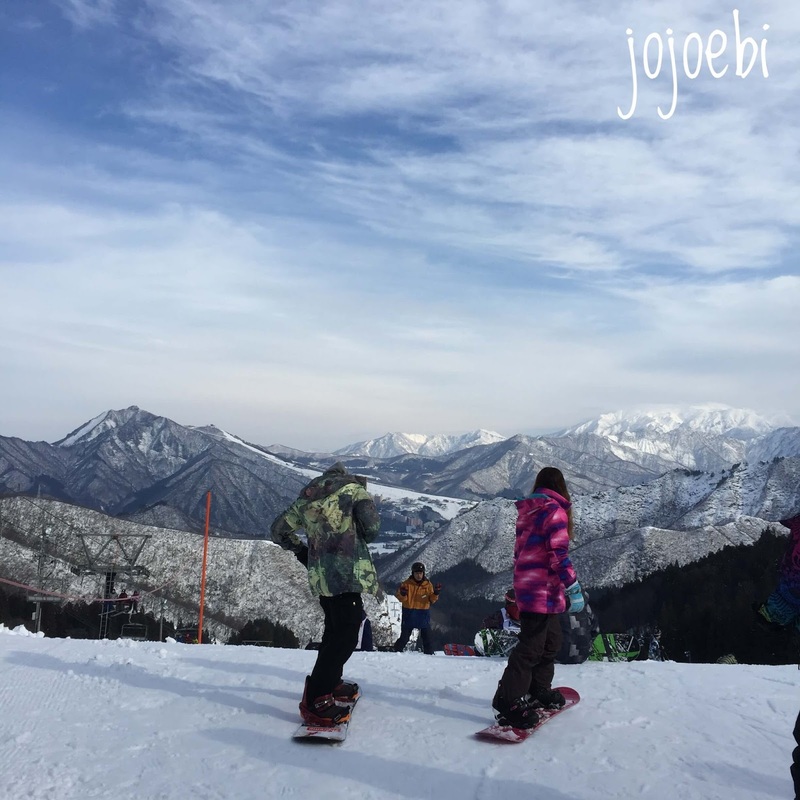 Nakazato is a family resort so there are fewer idiots on the slopes, you just have to keep an eye out for pint-sized maniacs. I don't remember the name of the other place but it was young, hip, snowboarder dude, heaven. I don't have anything against snowboarders - since I live with two of them but... some of them as right fricken idiots and shouldn't be allowed out unsupervised. And what is with sitting in the middle of the bloody slope? Like I said, idiots! Totally different feel to the place, much busier, much faster paced and much 'cooler' than Nakazato. Maybe I would have different views if I were 20 years younger and hadn't had a bad accident under my belt! This place did have a practice area for rails and jumps etc. 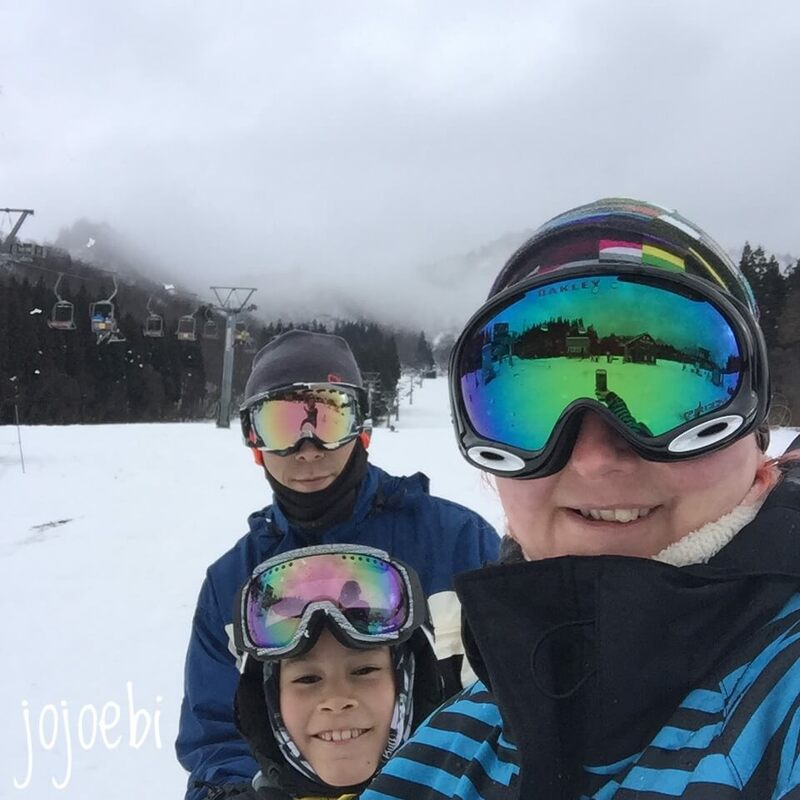 The boys had a go, tried a few times and decided it was way to painful, so we hit the slopes again. I did struggle this day with the old break giving me gyp, I think because I was worrying about being hit, I was manifesting the pain. It was suddenly OK again the next day. All in all it was a fun few days. The last day I have no photos, it was heavy snow and we were soaked by lunchtime. We needed to catch the train by 4pm so we all had to get completely changed before we could do so, normally we just travel back in our snow gear!